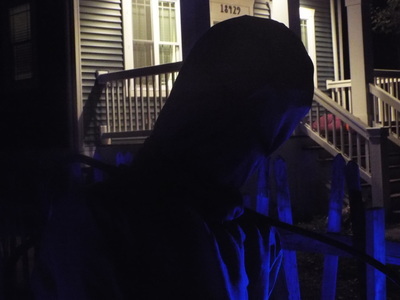 If coffins are one of your favorite Halloween things, you'll love Monsters on Morris. 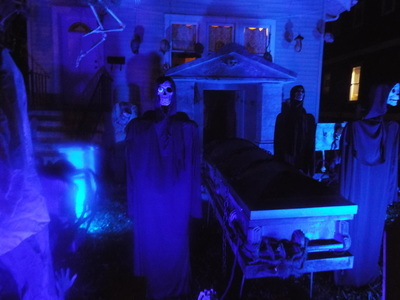 The central theme of the entire display is coffins of various types, from wooden ones, to metal ones, to ones that look like they've been used and dug up just for this display. There are about a dozen coffins in this setup, many of them arranged in clever scenes. 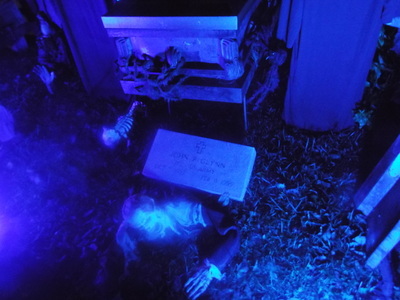 For example, there is a wooden coffin from which a skeleton is jumping out, right through the broken wooden top. 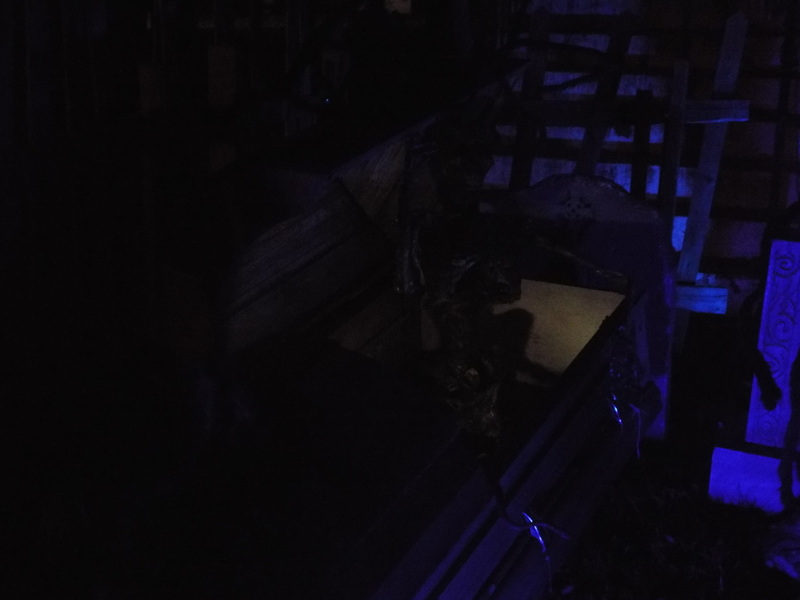 There's a creepy procession of hooded skeletal figures carrying a chained metal coffin outside of a crypt (which look extremely creepy at night when no one is around). There's even an upright metal coffin bottom (well used) with a zombie clawing its way out. 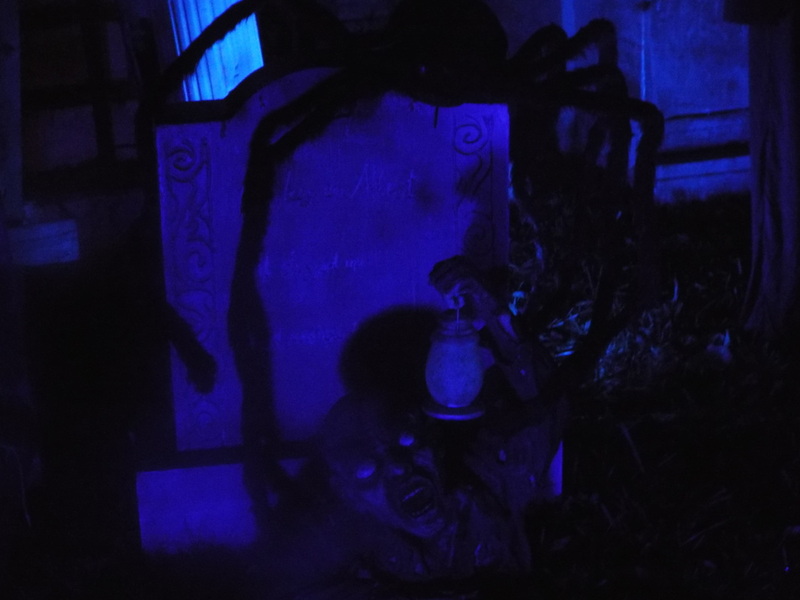 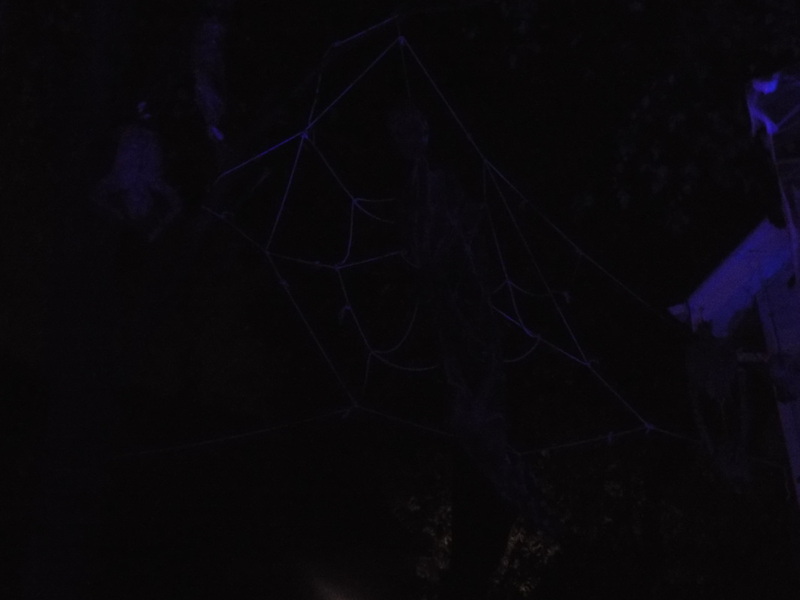 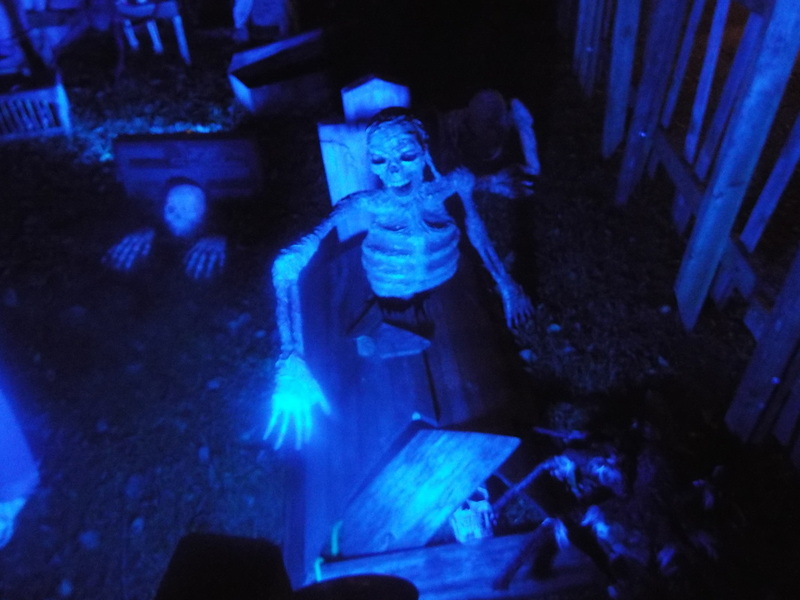 In addition to the coffins and skeletons, there are also some other setups, including an electric chair, a wooden stock with an unfortunate victim inside, and even giant spiders lurking in the trees, along with their cocooned victims. 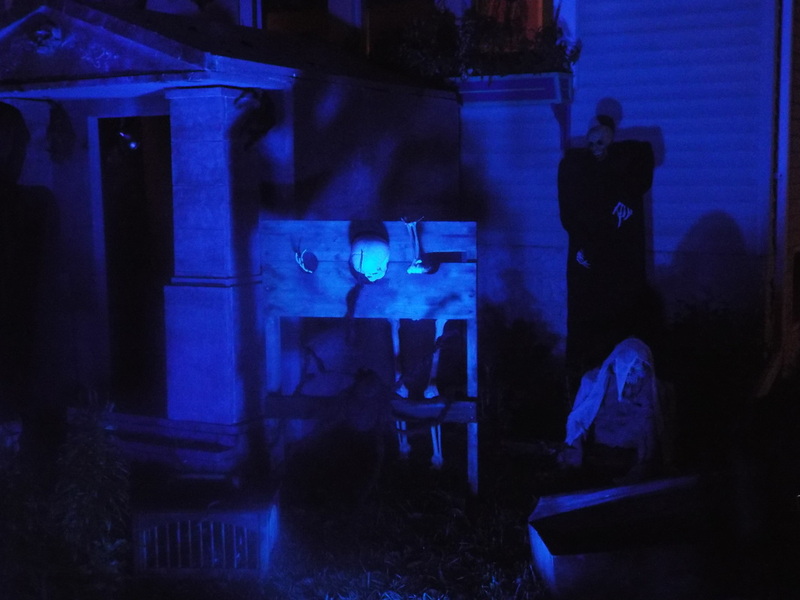 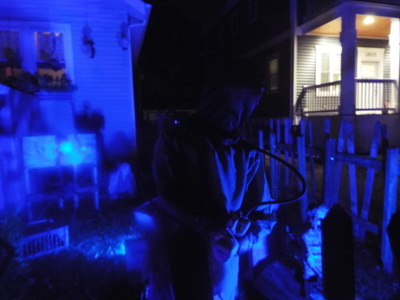 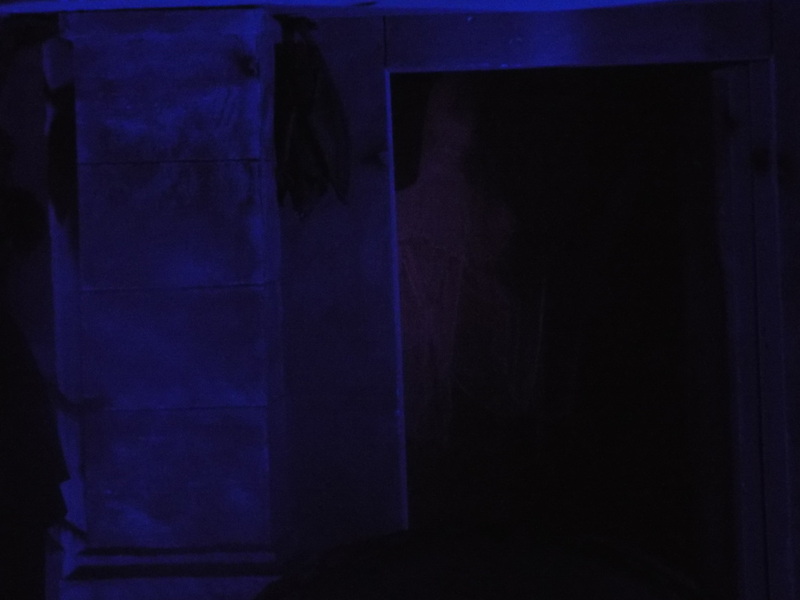 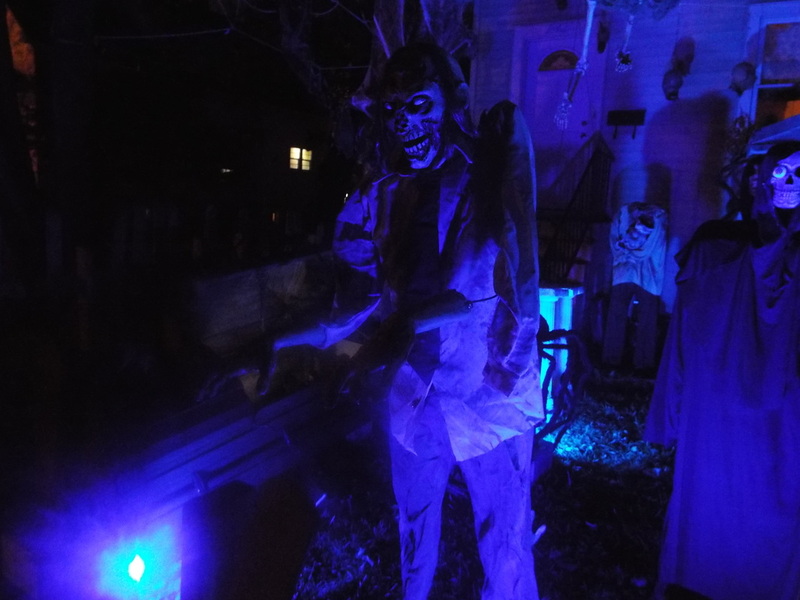 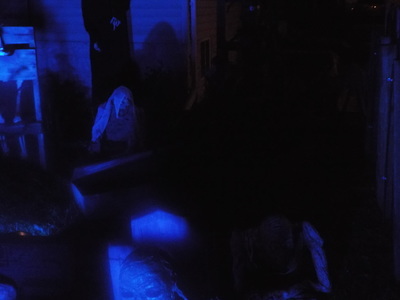 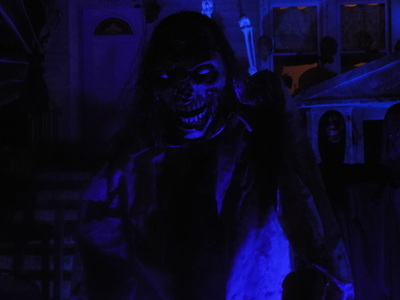 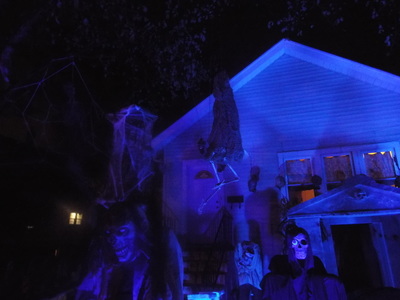 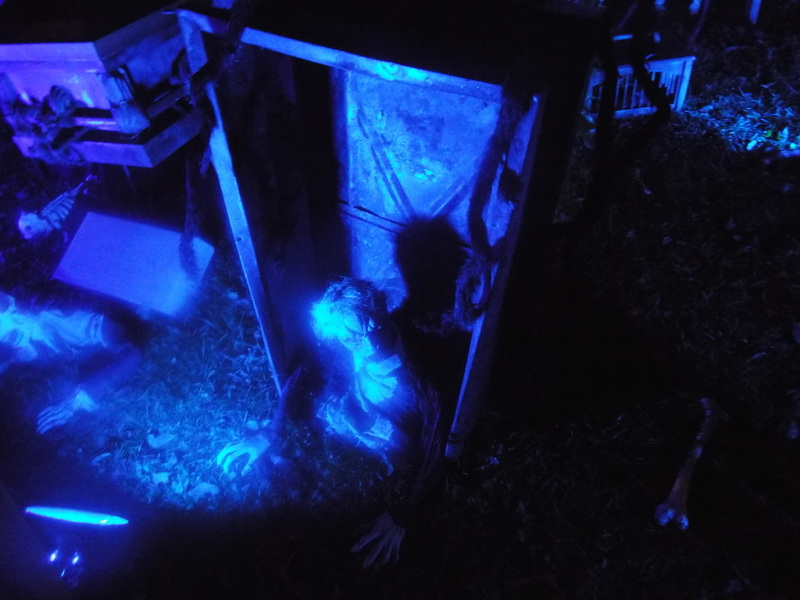 The entire display is bathed in eerie blue lighting, which is especially effective at night. 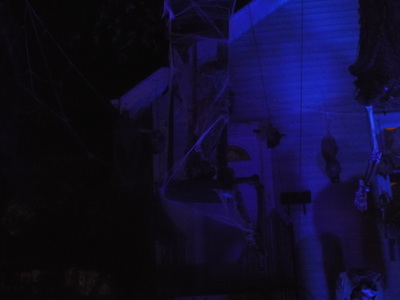 It forces visitors to look up close to see the setup in detail, which makes them prime targets for any surprise popouts. Monsters on Morris makes some great use of limited front yard space, and its location on a quite side street makes it an excellent display to visit at night, perhaps during the week, when not a lot of people are around. 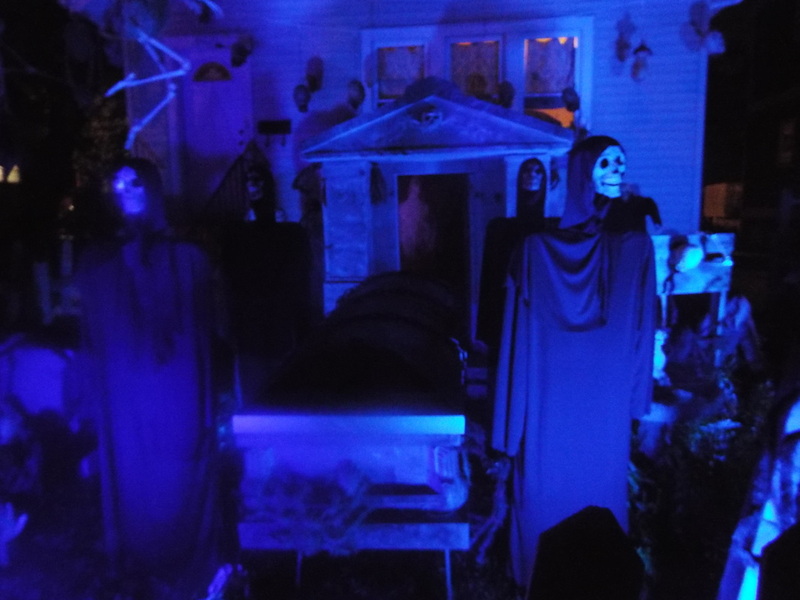 Watching the wind blow through the display, disturbing the hooded cowls worn by the skeletal pallbearers is creepy, to say the least.